For Russian Ekaterina Mityaeva it was a dream come true, winning her first Migu Run Skyrunner® World Series race after four years of competing. For the men’s winner, local Jessed Hernandez, it was a repeat victory after winning the race exactly ten years ago. 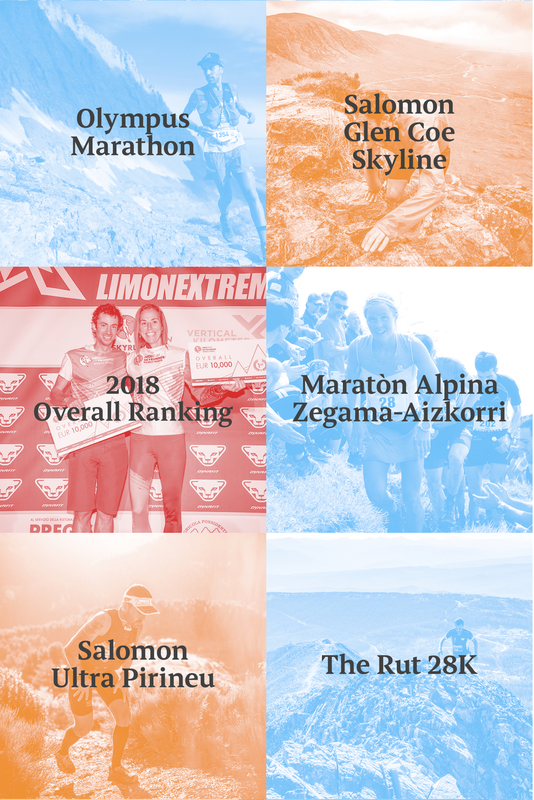 The Salomon Ultra Pirineu is the longest on the circuit and represents the semi-final of the eight-race Sky Extra category. 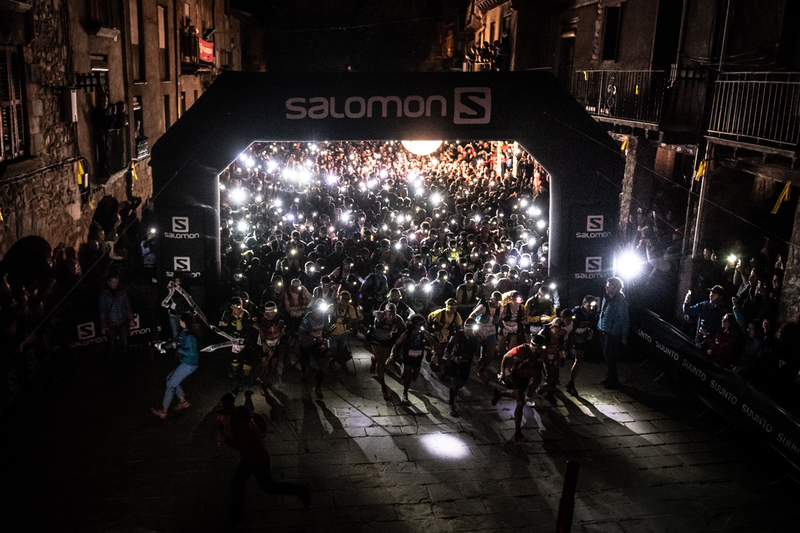 Overall, 1,099 runners toed the start-line in the early morning darkness of the small medieval town of Bagà in the Spanish Pyrenees yesterday. 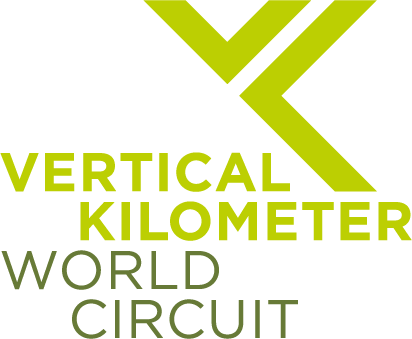 The 110 km course with a colossal 6,800m of vertical climb was the formidable challenge ahead which ended, for most, deep into the night. With everyone safely past the finish line, the prize ceremony took place this morning to celebrate the winners. Ait-Malek, just five minutes later, was disappointed with another second place after 2015. “I started easy and after km 40 I pushed. I took the lead at 55 and I thought that it was my day, my big chance, but in the last 15 km I had problems, I couldn’t go descend well and Jessed passed me. 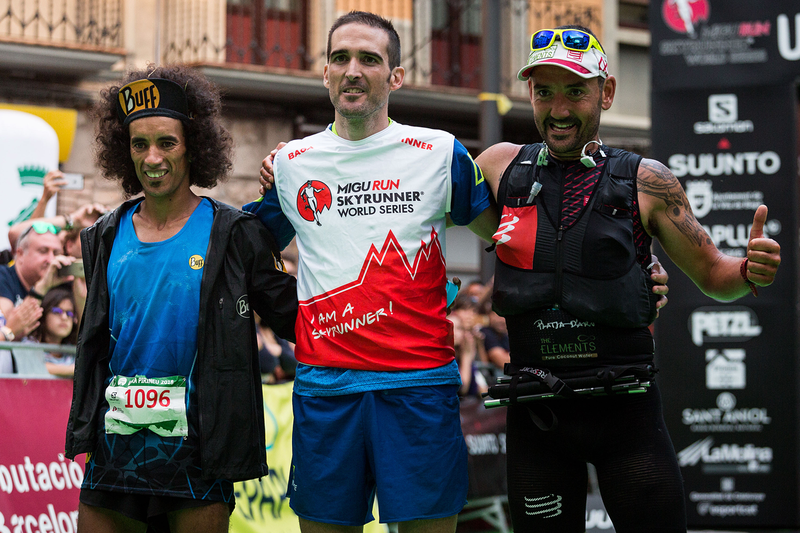 I feel some bitterness but I am also proud of the result.” Closing the podium was Spaniard Jordi Gamito in 13h01’23”. The long tough race saw several race favourites pull out including Russian Dmitry Mityaev who placed second last year and was in the lead group until km 65 . 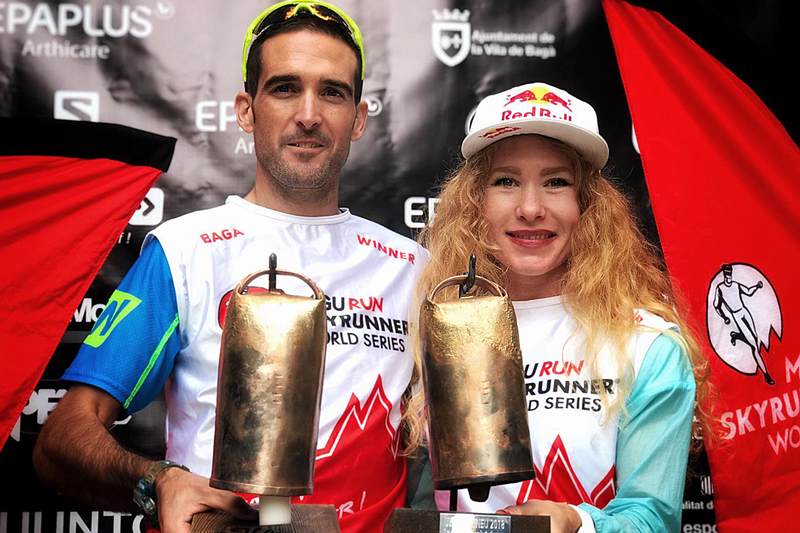 Since 2015, the Mityaev couple have been a constant figure on the Skyrunner® World Series with Mityaev winning his first race at High Trail Vanoise earlier this season. In 2016 Ekaterina Mityaeva moved up to the Ultra distance, crowning her debut here with a fourth place and an excellent third last year. Today, she was on the top slot of the podium and on top of the world. “For me it’s so amazing, I can’t believe I did it. The woman from Poland is very strong and I thought she could win. But today is my day!” she exclaimed. Her time was 15h12’24”. Second was Poland’s Magdalena Laczac who finished nearly 45’ later. “I had a different plan for this race but problems with my stomach changed everything today. If I had tried to push faster I would have had to give up. I am happy because it was very good to finish and be second.” Third woman was Spaniard Roser Espanol in 16h31’35”. 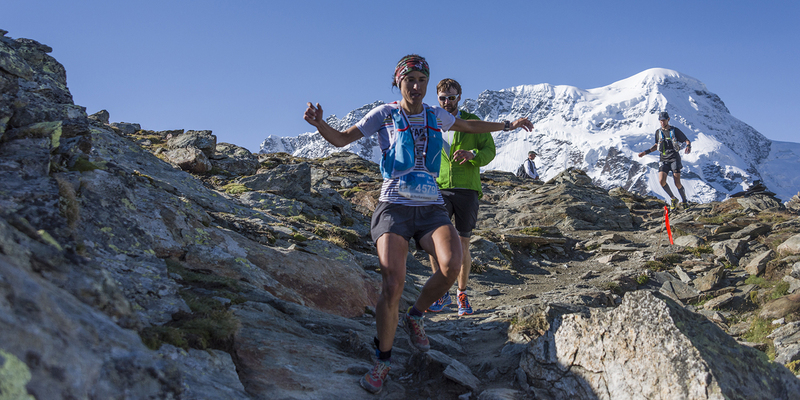 The records, set in 2015 by Kilian Jornet and Emelie Forsberg in 12h03’27 and 13h39’33” remain intact. With just one more race to go in the Sky Extra category, the top ranking positions remain unchanged, led by Hillary Gerardi and Ragna Debats. Ekaterina Mityaeva now moves to third and Brittany Peterson slides to fourth. Dmitry Mityaev holds on to his leadership, followed by Pere Aurell and André Jonsson. 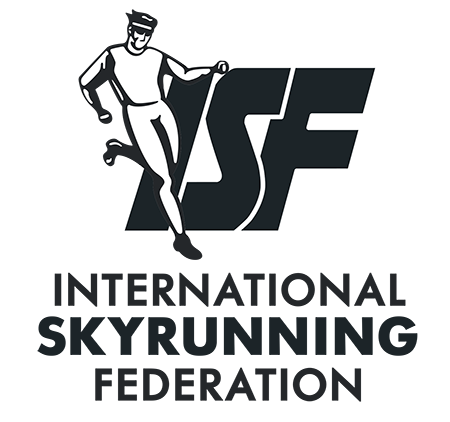 The Sky Extra final will be held in Bulgaria on October 6 at the Pirin Ultra SkyRace® and, with an eye on the Sky Classic category and the end of season Overall rankings, the 2018 Migu Run Skyrunner® World Series will be decided at Limone sul Garda, Italy, on October 13.